This Training Course presented in tandem with the SELECTBIO Organ-on-a-Chip Europe 2019 Conference provides an interactive presentation and discussion of the technology platforms, methodologies, as well as application areas in the exciting space that is created by the deployment of microfluidics and lab-on-a-chip technologies for creating "organs-on-chips" (or sometimes referred to as "body-on-a-chip"). All Course Delegates Receive the Electronic Copies of the Presentations Plus Publications and Up-to-Date Reviews on this Field to Bring Back and Use as Reference Material for R&D Planning/Presentations, Business Plans and Investor Presentations. 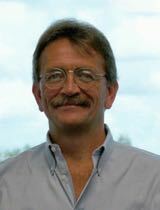 The course tutor is Professor James Hickman, Professor at the University of Central Florida as well as Chief Scientist at Hesperos, Inc.